This member of the Amaryllidaceae family was described by John Bellenden Ker Gawler. It is found in the Eastern Cape Providence, Southern Africa. It will grow in everything from clay to grit, but prefers a well drained soil, some water and lots of sun. 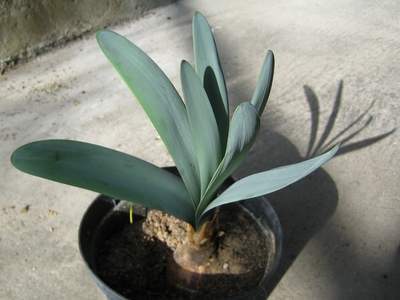 The bulb will grow to 20 centimetres in diameter and 60 centimetres long. The leaves grow up to 60 centimetres. The dark red flowers appears in autumn, the leaves in winter.